CHESTER COUNTY, Tenn. — Freed-Hardeman University is packed with prospective, current and alumni students. 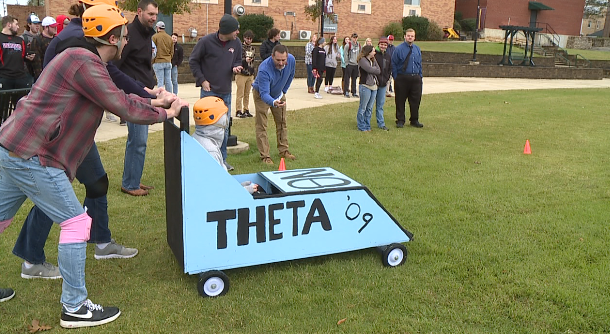 Friday was full of events for Freed-Hardeman University’s homecoming. First was chapel, where they introduced the senior nominees for homecoming queen and king. After chapel, everyone headed out to the bell tower for the quote dedication, cart racing and food. 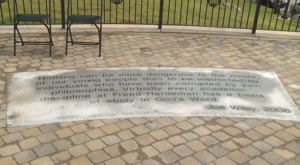 “So when the bell tower was erected many years ago, they began engraving these stone tablets with presidential quotes, and we’re unveiling Dr. Wiley’s quote today,” Director of Alumni Relations Chris Ramey said. Dr. Wiley served as FHU’s president for nine years. On the other side of the commons were the cart races. 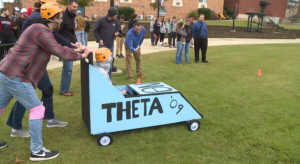 “You have your club, you’ve got a cart, they push it down one way, the person driving it gets out, somebody else gets in, they turn around and push it back,” Ben Coleman, a senior at FHU, said. The cart with the fastest time wins. Most of all, people said they look forward to this weekend to catch up with old friends. For a full list of events this weekend, head to the Seen on 7 section of our website.